Thank you for visiting Hamilton Academy by way of our website, I hope you find the information here useful and interesting. Hamilton Academy is an independent state primary school with a roll number of 630 and a nursery of 30 children. 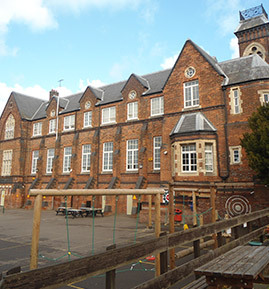 Dating back to 1875, the school has grown to have a three-form intake. We are split over two sites in the heart of High Wycombe, and serve a diverse multi-cultural and multi-faith community.